Natural products to make life easier for mother and baby. 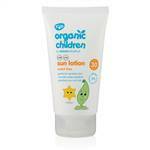 At Open Sesame we like to offer a wide range of chemical free,eco friendly and natural products for mother and baby. We have placed a carefully selected number of these products available online. We have prenatal products like DHA and prenatal nutrients,probiotics to help babys tummy like ABCdophilus and skincare products with all natural ingredients.